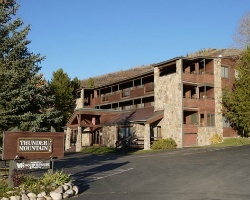 Enjoy the luxuries of resort living in the heart of a mountain wonderland at *Thunder Mountain Condominium* in Steamboat Springs. The area is best known for its fantastic skiing, golf, tennis, hot-air ballooning, lively Western atmosphere, and abundance of hot mineral springs. 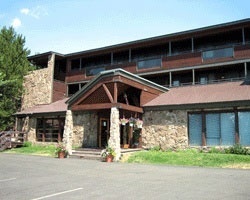 The ski area, just a mile away, offers family package discounts. Summer in Steamboat Springs is a perfect time for outdoor enthusiasts. 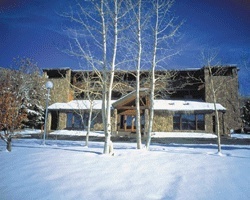 Routt National Forest is close by, where you'll find hiking trails and horseback riding. Boating and fishing are available 17 miles away at Stagecoach Reservoir. Floating red week! With membership, can exchange with RCI for 43,000 points. Price is negotiable- need to sell! Gorgeous resort!! Deeded SKI week # 6.. or opt to float in red season!! Motivated seller!! All reasonable offers considered! !